"We have participated in the Walk4Hearing for three years, and at first, I think it was more for our benefit than our daughter’s. We had a lot to learn, see, and recognize about her hearing loss. But we realized that the Walk allows her to see other children and adults like her. It not only teaches us about her world, but it is a day to celebrate our daughter and all that she has overcome already." The HLAA Walk4Hearing is a national program that reaches out to the more than 48 million people with hearing loss, their families, friends, and hearing health professionals to raise awareness about hearing loss, good hearing health, and communication access. Since 2006, the Walk4Hearing has welcomed almost 100,000 walkers and 8,300 teams to come together and share their hearing journey. Whether you have a hearing loss, know someone who does, or if you just need some help hearing in a noisy world, the Walk4Hearing is for you. And our message to you is: You are not alone. You can do something about your hearing loss. 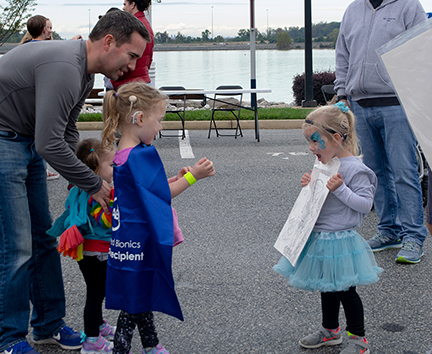 "I walk for myself and countless others living with hearing loss. To make sure that each person finds a solution for communication, and to hear those amazing sounds and words of loved ones. The Walk4Hearing provides awareness for many." Offer resource toolkits for the workplace and in medical settings. Hold hearing health seminars sponsored by HLAA Chapters and other community groups. 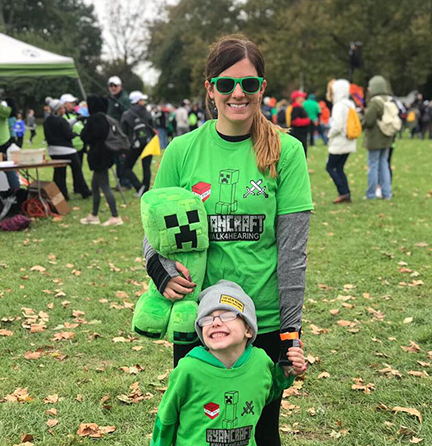 "We walk for our 5-year-old son Ryan who was born with microtia/atresia. We walk to encourage him to be proud of his little ear!"